Wigan Athletic moved four points clear of the relegation zone after they earned a hard-fought point against Brentford at the DW Stadium. 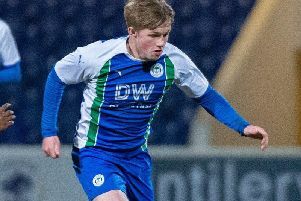 The visitors impressed as they controlled the ball for large spells of the match, but Latics arguably had the best share of the chances to win the game. Anthony Pilkington had a goal ruled out for offside while Chey Dunkley hit the upright for Latics in the second-half. Following the stalemate, Latics moved down one place to 20th but a point further clearer of the drop zone. Here’s what a selection of Latics fans had to say on social media after the goalless draw with Brentford. @TH11513: “We don’t look like a team battling relegation, so lethargic yet again. Cook seemingly has absolutely no plan B. Feel we’re relying on Rotherham just to be worse than us, not good enough.